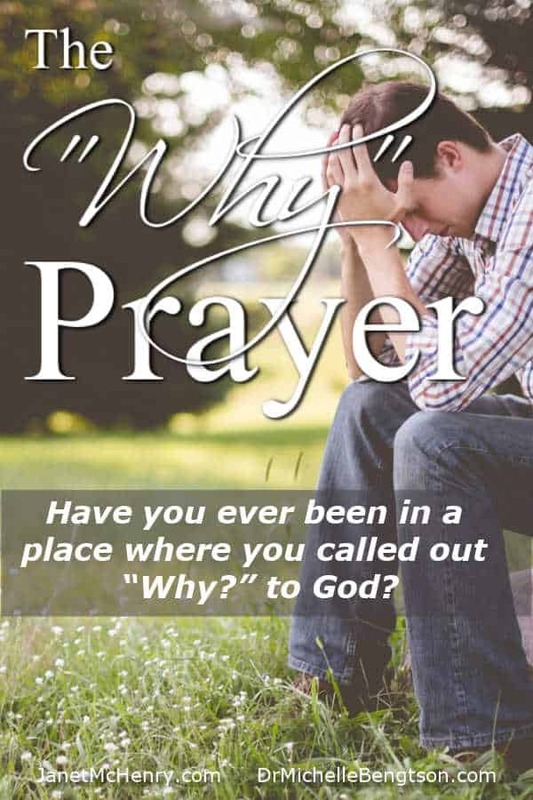 Have you ever been in a place where you called out “Why?” to God? Have you ever wondered if those kinds of prayers are okay? 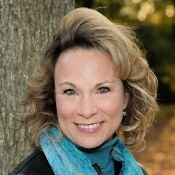 I am delighted to introduce you to my friend, author and speaker, Janet McHenry. 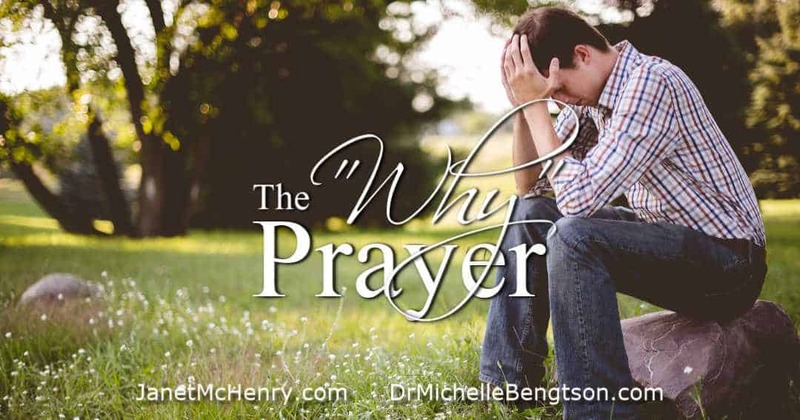 Today on the blog Janet answers that question as she discusses The “Why” Prayer. One of the most heart-touching stories that arouses deep emotion in us is when we learn of a baby abandoned by its parents. A fireman walks out the front door of the firehouse one morning, only to find a newborn swaddled up in a blanket sitting in a car seat. A helpless child–abandoned, deserted, forsaken. Of Jesus’ ten prayers the most heart-wrenching one is probably the one when he, too, was seemingly abandoned. Hanging on the cross, he cried, “My God, my God, why have you forsaken me?” (Matthew 27:46). The word forsaken here takes on a hard note of finality. The Savior who “had to be with his father” on a continual basis was now alone on the cross. Jesus’ prayer is one with which we can truly resonate. Why did I lose my job, God? Why did my sister Nan die of cancer? Why did you allow ALS to take Dad so soon? These “why prayers” are tough. They hurt. And even if we hang on to our faith, we may feel bad because we’ve prayed them. But Jesus did. And his story shows us that his abandonment led to our adoption—as children of our Father in heaven. Think about it. When a baby is abandoned, it seems awful, the worst thing that could happen to a child. But that baby’s abandonment then actually answered the heart cries and prayers of a set of parents who could not have a child. Abandonment leads to adoption. Abandonment is not the last word. Our Father has the last word. And while we may not always find out the answer to our Why? prayers here on earth, we can trust that he will make meaning and purpose as we look to him in faith. It’s okay to pray Why? Jesus did. So we can, too. This book is the only comprehensive guide to the prayer life of Jesus. While many Christians only know of the Lord’s Prayer, we learn in Janet’s book that prayer was essential to him and that he had a rich, fertile prayer life while he was on earth. With warmth and keen insight, Janet takes you on an engaging, vivid journey through the 14 recorded prayers Jesus prayed as well as his teachings on prayer and his prayer practices. No matter our backgrounds or ideas about how, when, and why we should talk to God, we can learn from Jesus’s simple, vulnerable examples. As we follow his example of prayer and take our problems to him, we will, like him, grow closer to the Father and find strength for our everyday challenges. 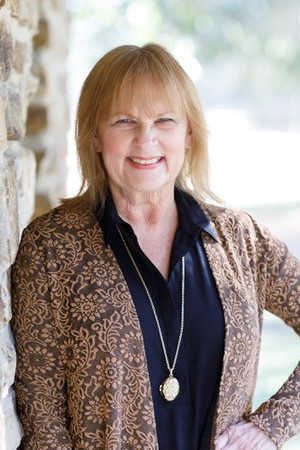 Janet McHenry is a national speaker and the author of 23 books, six of those on prayer, including the best-selling PrayerWalk and her newest, The Complete Guide to the Prayers of Jesus: What He Prayed and How It Will Change Your Life Today (Bethany House). A former journalist and educator, she now writes full time from her home in the Sierra Valley, where her husband is a rancher and where they raised their four children. She coordinates the prayer ministries at The Bridge Church in Reno, where she annually organizes a prayerwalk for the schools. 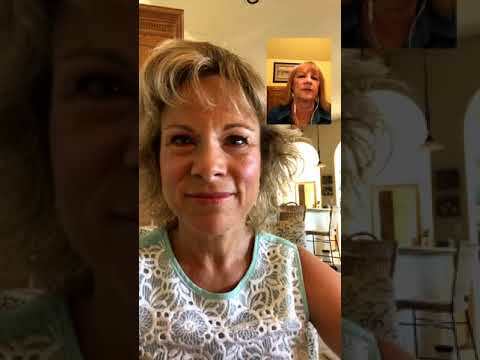 Janet enjoys connecting with folks on social media and invites others to contact her through her website, www.janetmchenry.com. Jesus modeled prayer throughout the Bible. 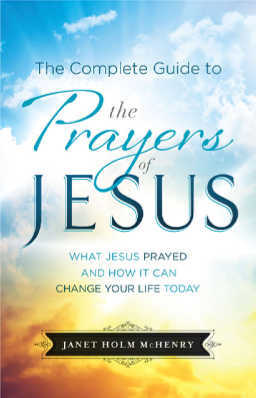 Leave a comment below telling us which of Jesus’ prayers is your favorite and why and you will be entered into a drawing to win one copy of Janet’s book, “The Complete Guide to the Prayers of Jesus.” You could also share this blog post on Facebook or Twitter then comment here to tell us where you shared it and you’ll also be entered into the drawing. The winner will be selected at random and announced next Tuesday, September 4th (Monday is a holiday), here on this post. Continental United States only. Thanks for visiting today Kristina! Glad you enjoyed hearing from Janet! May your day be blessed! Hi, Kim. 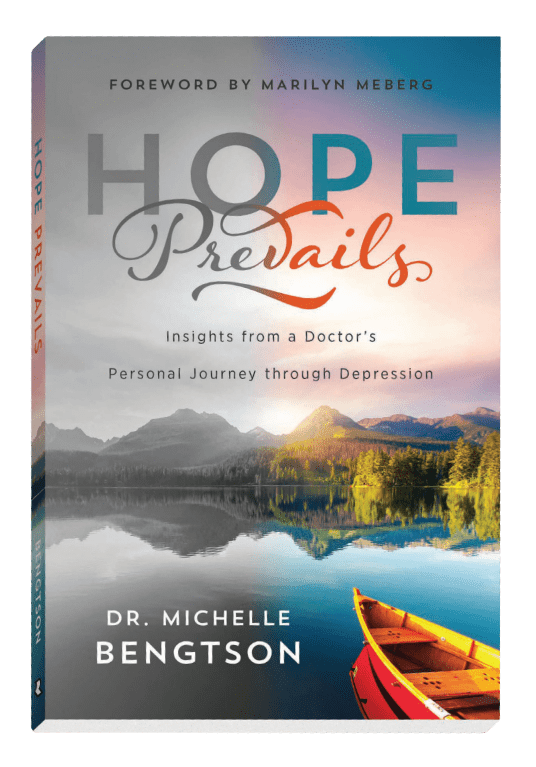 Yes, it’s my understanding that the book is the only one that has a focus solely on Jesus’ prayer life: everything he taught about prayer, his prayers, and his prayer practices, as well as how he continue to intercede for us today. There are dozens about the Lord’s Prayer and a couple about Jesus and prayer. This book’s only focus is on Jesus’ prayer life alone. I, too, am so thankful that Jesus modeled for us how to pray, and that Janet has shed some light on that from her research and experience. In Jesus’s humanness, he could relate to our suffering. And what a great God, who lets us come to him in our times of need and confusion. Because of Him, #HopePrevails! Yes, Mary . . . in a book I wrote in 2002, I called that the dichotomous, two-sided coin prayer . . . perhaps the best prayer we can offer, given our humanity. “Here’s what I’d like, Lord, but your will be done in my life.” And that prayer will draw us closer to our Father, which I think the ultimate goal of prayer–to be one with him. I desire to see the Church become united in oneness and that the world would see this unity in order to reach seeking ones to know the love of God and believe in Jesus as their Savior. Oh yes, Kathy, unity within the church will have a far reach toward those who are seeking and still need to know about our loving God. Thanks for visiting today! God bless you! I love that part of the John 17 prayer, Kathy. It humbles me that Jesus would pray for FUTURE believers, such as you and me. Incredible. And yes, every Sunday as I meet with the rest of our church prayer team, I pray over the pews asking the Father to make us one as he and his Son are one. Blessings to you. So appreciated Janet’s blog! The Lord’s Prayer is my favorite and one my husband and I pray together each morning in our corporate prayer time. I am looking forward to reading Janet’s book as prayer is a vital part of our ministry and walk with the Lord. 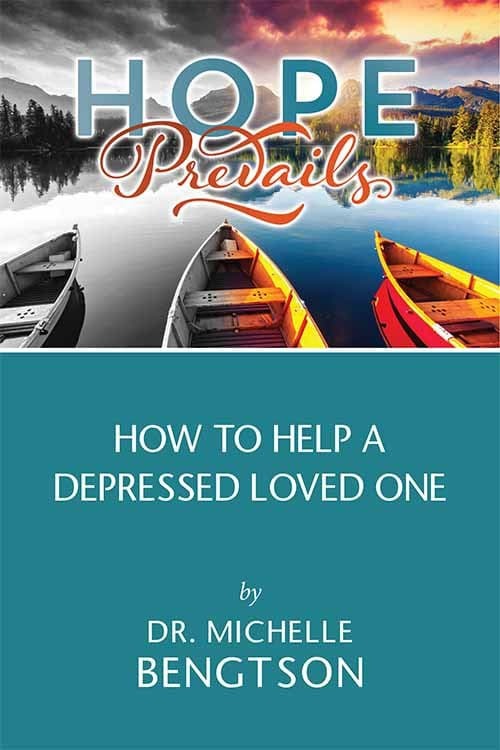 Thank you so much Dr. Michelle for asking to share this blog with us. As those who minister to others through your fervent prayers, you will definitely enjoy Janet’s book. There is something very powerful in praying just as our Savior modeled for us! #PrayerPrevails! I love the Lord’s Prayer, too, Karen. Short and simple, it shows us that we don’t have to be flowery or long-winded with our prayers–a real comfort, actually! I’m so thankful for that prayer too, because I know I too have wounded him unknowingly. And yet, His prayer covers me as well. Thanks for visiting today! Because of Him, #HopePrevails! It’s definitely an authoritative prayer that Jesus used to model prayer to us. Thanks Helen. Glad you enjoyed the interview. Thanks for visiting with us today. I think I have to place the “Why” prayer as a favorite. I like the reminder that it is okay to ask ,”Why”. I know what you mean. Sometimes we just want to know what good is going to come from our pain. Isn’t it great that Jesus gave us the perfect example how to pray? Looks like a powerful, timely book, Michelle! Thank you for sharing! I think it’s one that we could all benefit from. Want to deepen your prayer life? Pray like Jesus!! I love every reassurance that there is no prayer, no word, no thought that is off limits with God! Oh Yes, me too Michele. God desires relationship with us more than anything!! He takes us at even our worst, so that He can do His best! Thank you for you post. I know I have a lot of why prayers that I’ve prayed myself. In fact, I’m going through a “why” period myself right now. I love Jesus’ prayer on the cross- forgive them for they do not know what they do. 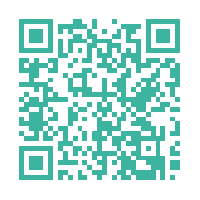 (I paraphased it ) I just tweeted one of your post links too. I prayed “WHY? ?” to God just this week over an area of injustice that was breaking my heart. I’m so glad my prayers are safe with Him, that He’s stronger than any doubts or questions I have, and that no matter what, He’s here to comfort me. Thanks so much for sharing this book with us! Aren’t you glad that God welcomes ALL our prayers? Who else can we be that raw, that vulnerable with, safely? I pray you hear His answer to your prayers! Because of Him, #HopePrevails! I never really thought that much about the prayers of Jesus, a side from when He was teching the disciples to pray. I can’t wait to study more into this topic! I shared this post on Twitter too. Thank you! So glad to have you here! I hope we see you again soon. I love how Janet has brought to light even more of Jesus’s prayers that we can use as an example to us. Thanks for sharing! Thank you for sharing this book with us! The why prayers truly are hard ones — but it is good to reminded that Jesus prayed them as well. 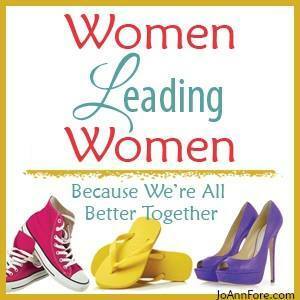 Thank you for linking up over at GraceFull Tuesday. I’m so grateful that Jesus was real and transparent and modeled exactly what we would need to live this life. Thanks for stopping by! Have a grace-filled day. Ronja, it gives me great comfort to know that Jesus prayed, “Why?” too. We have a Savior with whom we can identify–who was real, touchable, vulnerable, and identifiable with our pain. I find His prayers a real comfort, Ronja. I know that “why” prayer. Thank you for sharing Janet’s book and a giveaway. Mary, I think that’s a prayer we can all relate to! Blessings friend. Jesus’ high priestly prayer in John 17 is so beautiful! It is amazing to read how He prayed for Himself, His disciples, and even us! I’m so glad Jesus modeled for us how to pray…even for ourselves. What a gift! That prayer of Jesus also demonstrates that after he prayed for himself, Jesus’ prayer then turned toward the needs of others–a great model to teach us to turn upward and outward as we pray. 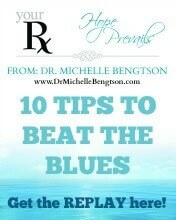 Thanks for sharing this at Booknificent Thursday on Mommynificent.com! I was very encouraged by the reminder that abandonment is not the end and leads to adoption. Just subscribed to your blog, Tina. Looks fabulous. Blessings! I find when I cry out to God with all of my why’s after a bit the answer doesn’t matter. It turns to peace, comfort, and usually a direction to tune it into what can be done. 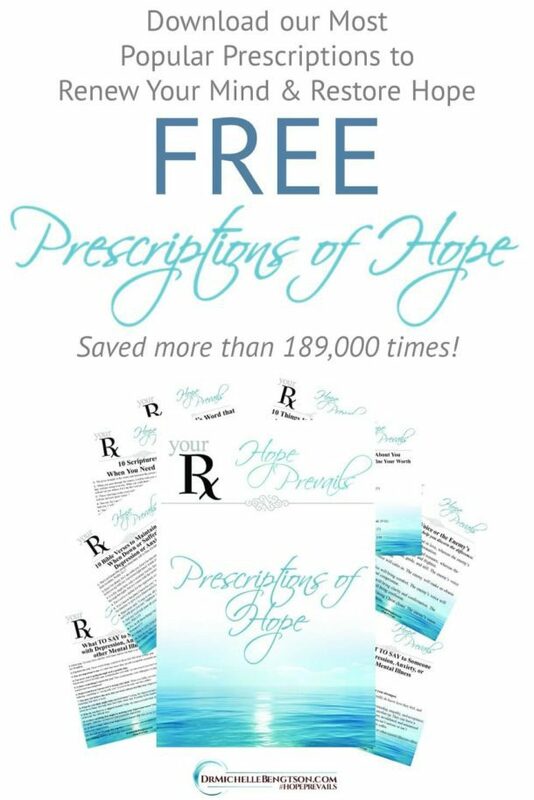 Thank you for sharing with Grace & Truth Christian LinkUp. Yes, Maree–part of the purpose of prayer is to make our heart one with His.